Learning to problem solve begins at a very young age, and is a lifelong skill that helps us as we make our way through the world. Infants learn to problem solve as they track a toy with their eyes and slowly begin to reach out to grasp it. Babies problem solve when they have a toy in each hand but there is a 3rd one on the floor that they would like to hold as well. Toddlers are learning to problem solve when they take a toy from another child and realize that when they give that other child something else to hold, the child may not scream. As toddlers become 2 year olds and their language abilities improve, parents and caregivers can ask “what should we do?” The caregiver can then model solutions. 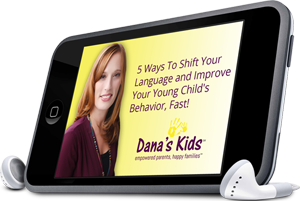 This works for everything from learning how to stack tall towers to supporting children’s ability to have their needs met by using simple words rather than crying or screaming. Older 2 year olds begin to play together rather than side by side and offer items to friends, often in the hopes that the other child will give them something as well. When they say “my turn,” or as their language develops, “Can I have a turn when you’re done,” they are problem solving. Problem solving is also often seen when two year olds find a bottle or pacifier to give to a crying baby. At this age, caregivers can help children hone their problem solving skills by again asking “what should we do” and then waiting for the child to come up with an idea. If the child is having difficulty, try suggesting a few possibilities. The big change comes when children are about 3.5 years old (some slightly older, some slightly younger). Many children have been problem solving with the support of an adult and can now take over some of the responsibilities. For parents and caregivers it is time to take a step back and when a child looks to you to save the day, simply say “what can you do?” Or, “How can we solve this problem?” Leave the rest to them. Problem solving comes up when children are playing with peers, and can also be useful when a child is unhappy or concerned about something. At these times you might say “what can we do to make you feel better?” The more opportunities children have to problem solve, the better they will be at it. Being able to problem solve strengthens a child’s sense of self and reinforces their ability to make their needs known while taking into account the points of view of others. Problem solving is important for children as individuals, in relationships with siblings and peers, and in the long run, with coworkers and spouses. This is another opportunity to for parents and caregivers to be children’s first and best teachers. Dana’s Kids. Empowered Parents, Happy Families. This entry was posted in behavior, children, cooperation, developmentally appropriate, educators, parenting, positive discipline, self-control, teachable moments, tips and tagged child development, developmentally appropriate, discpline, impulse control, parents, problem solving, self-control, siblings, teaching, tips, young children. Bookmark the permalink.